Preheat oven to 400 degrees. 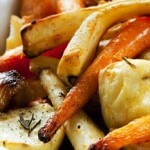 In a large bowl, toss the root vegetables with the olive oil, sage, and garlic. Season the vegetables with a generous amount of salt, pepper, and, to add a little smokiness and heat to balance the sweetness of the vegetables, the chipotle or paprika. 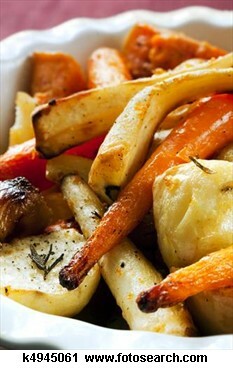 Roast on a parchment-lined sheet pan for about 30 minutes, or until the vegetables are golden brown and cooked through.